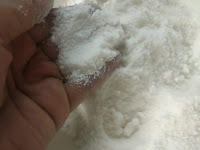 To make dough, place flour and a good pinch of salt in a large bowl. Make a well in centre and add oil with 1 cup of water. Using a round-bladed knife, stir to form a soft dough. Turn out onto a lightly floured surface and knead for about 8 minutes, until smooth and elastic. Cover and set aside at room temperature for 30 minutes. Preheat panggangan to 200°C (180°C fan-forced). Lightly grease two medium baking pans. Make the beef filling; combine all ingredients in a large bowl and season well. Roll out dough on a lightly floured surface to 2-3mm thick. Cut into 9cm squares. Place a heaped teaspoon of filling into centre of each square. Wet edges with a little water. Bring up two opposite corners of pastry to join over filling. Bring up other two corners and pinch together all four corners, pressing along seams to seal. Place in a single layer in prepared pans. Bake for 20 minutes, until beginning to colour. Meanwhile, combine stock with 2 &frac14 cups water, cinnamon and bay leaves in a medium saucepan. Bring to boil and season to taste. Pour broth over both pans of manti. Cover tightly with foil and bake for another 20 minutes, until soft. Remove manti from pans. Whisk together 1/4 cup broth with yogurt and garlic. 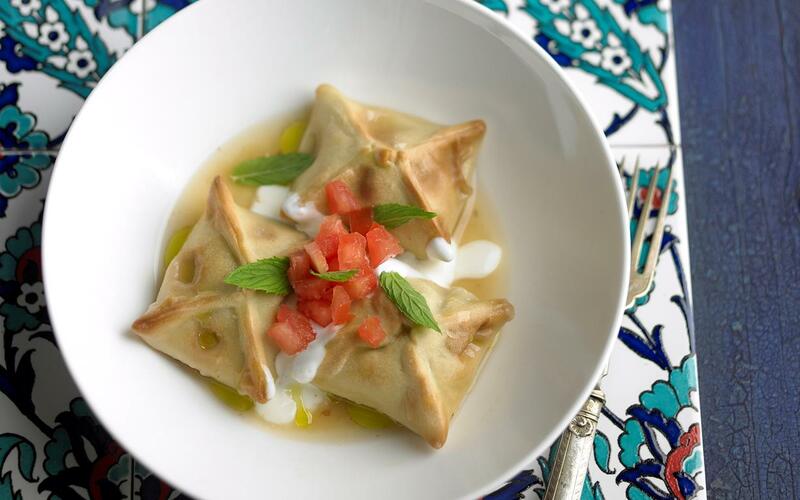 Divide manti between shallow serving bowls and top with yogurt mixture, tomato and mint. Drizzle with a little broth, if you like, to serve.